6543 Washington Avenue is known as the Thornburgh house for this house was first built by Joel T. Thornburgh in 1905 and first lived in by Joel and his family. Christian Sorensen was later to make the home his residence, beginning in 1928. Sorensen was a prominent orange rancher at that time, having purchased, along with his brother Daniel, 80 acres of fertile land south of Whittier Boulevard from Pio Pico in 1868. Sorensen Avenue and Christian Sorensen School bear his namesake. Additions to the property include a kitchen addition at the rear of the house, as well as a detached three-car garage, both constructed in 1999. Both these additions were built in the same style as the house, and were approved under a Certificate of Appropriateness. This house was was designated of historical significance locally on September 11, 2001. It is identified as landmark #40. A Mills Act Agreement was connected to this house at the time of its local designation. 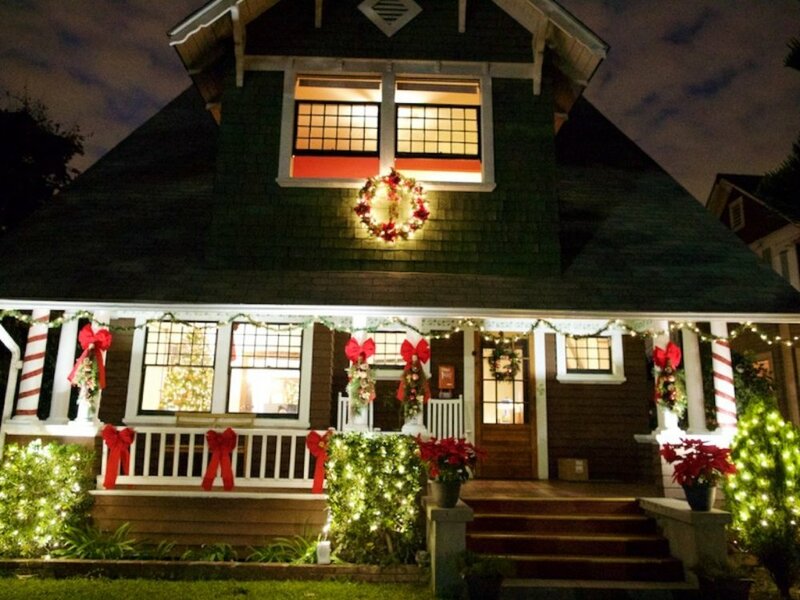 This home is directly across from Central Park in Uptown Whittier.